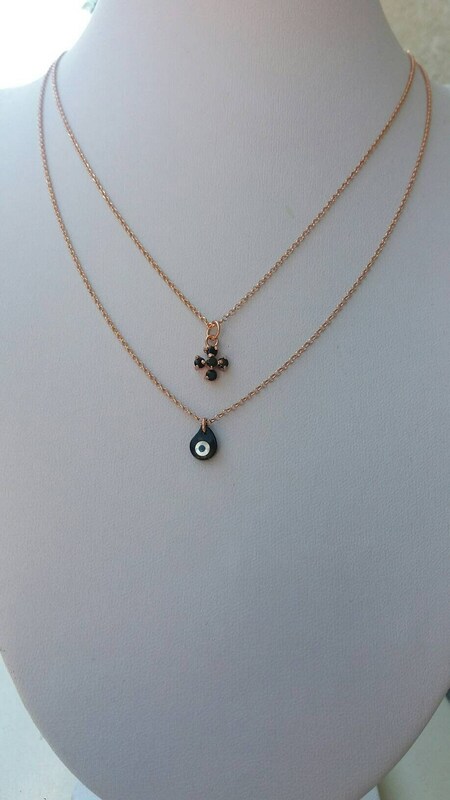 A dainty evil eye layered necklace, combined with a dainty cross. Elegant and eye catching, makes an ideal bridesmaid gift. They can also be worn separately, so you can have three different looks. A nice gift for her. Cross necklace length approx. 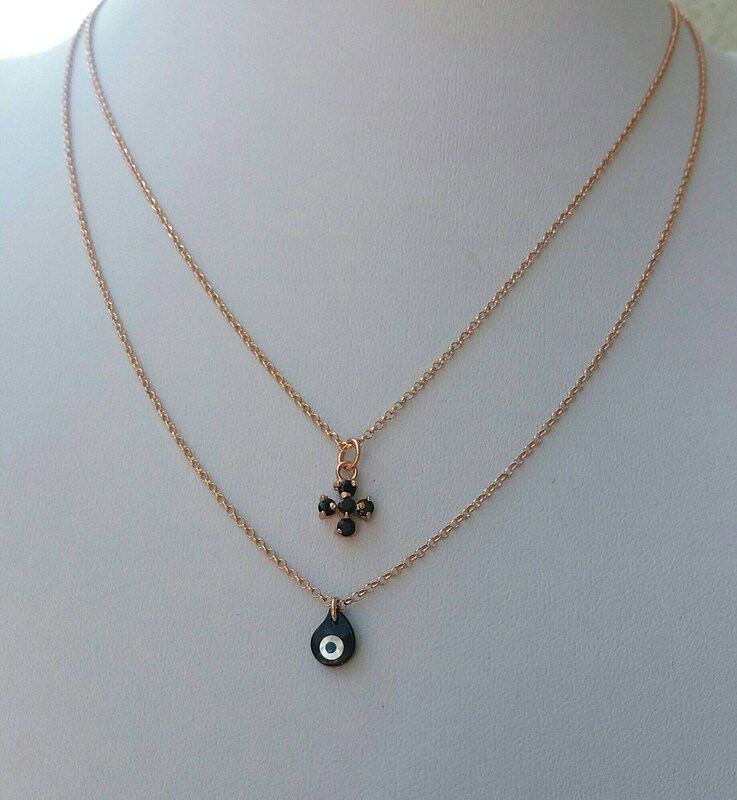 16 inches / 40.6 cm, evil eye necklace 17 inches / 43.1 cm - can be adjusted upon request. Very pretty & delicate necklaces. Great communication from Maria. Highly recommend !